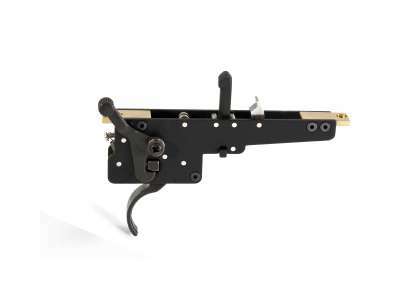 The zero trigger assembly, is made of steel components, and built to handle the heavy loads, the M150 and M170 springs put on the trigger release mechanism in the ASW338LM airsoft sniper rifle (Ref. 17138). It is an essential part, when upgrading to stronger springs.